Rewire an electronic ballast to save in energy costs. Turn off the power running to the fluorescent fixture. Turning off the power from the breaker box ensures there is no live connection running to the fixture and no risk of shock. Remove the lens and lamps from the lighting fixture. Open the ballast housing and remove the magnetic ballast. Install the electronic ballast. The electronic ballast can be attached to the fixture in the same location as the magnetic ballast. This usually makes it easier to ensure wires will have enough length to make connections. Wire the electronic ballast into the lighting fixture according to the diagram provided with the ballast. Often this diagram is located on the ballast itself or included with the packaging. 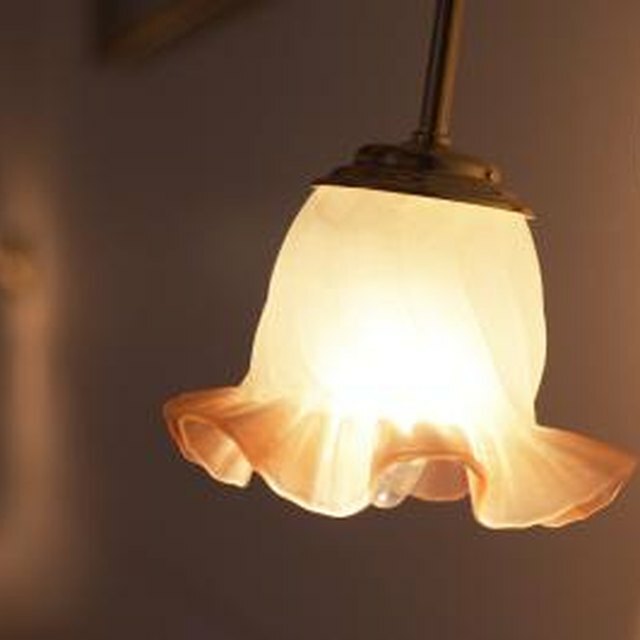 The wiring will vary with the amount of lamps intended for the fixture, wattage and type. Replace the ballast housing and lamps. Be sure to use lamps that comply with the specifications of the ballast. Turn on the power running to the lighting fixture. Do not throw magnetic ballasts in the trash. Magnetic ballasts frequently contain PCBs and must be recycled. Kathleen Michelau is a professional writer who received the President's Scholarship for Journalism in 2002 and holds a Bachelor of Arts in journalism and philosophy from the University of Dayton. She is a Chicagoan who enjoys writing about home repair, hobbies and electronics.